Ugandan university honours Madikizela-Mandela - SABC News - Breaking news, special reports, world, business, sport coverage of all South African current events. Africa's news leader. akerere University honoured the veteran activist for her roles in the struggle against apartheid. 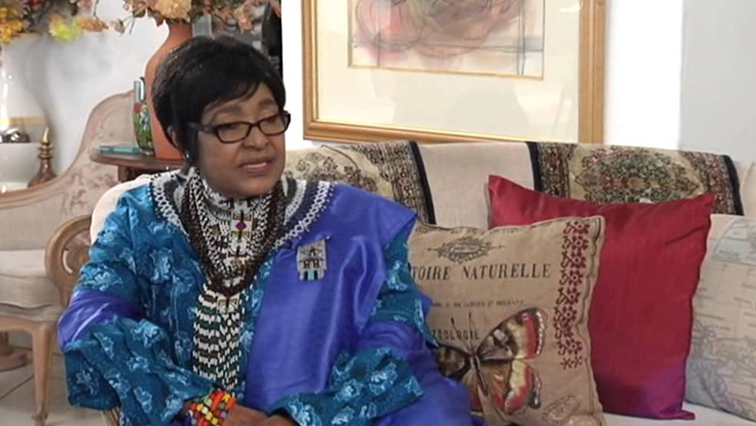 Winnie Madikizela Mandela has received an Honorary Doctorate from Uganda’s highest institution of learning. Makerere University honoured the veteran activist for her roles in the struggle against apartheid. The University awarded Madikizela-Mandela an honorary Doctorate of Laws for her role in South Africa’s liberation struggle. It is one of the highest distinctions bestowed by the institution. Her niece Gandai Baai was on hand to receive the award and underline what Winnie Mandela fought for. This was the 68th graduation ceremony for Uganda’s largest university. Most of the graduates may be too young to remember Madikizela Mandela’s leading role in the anti-apartheid struggle. But they still see her as a source of inspiration. Madikizela Mandela was unable to attend, still there was everything to celebrate; not just her achievements but also those of her former husband, Nelson Mandela. As with many parts of Africa, Madikizela-Mandela’s legacy can be felt and the efforts of her struggles for freedom continue to resonate well beyond her own homeland. This entry was posted on 19 Jan 2018,08:44PM at 8:44 PM and is filed under Africa, News, Homepage Featured Story Slider. You can follow any responses to this entry through the RSS 2.0 feed. Both comments and pings are currently closed.